To capture a record Atlantic cod, it is obvious that you have to travel to the Sørøya island in Finnmark county. 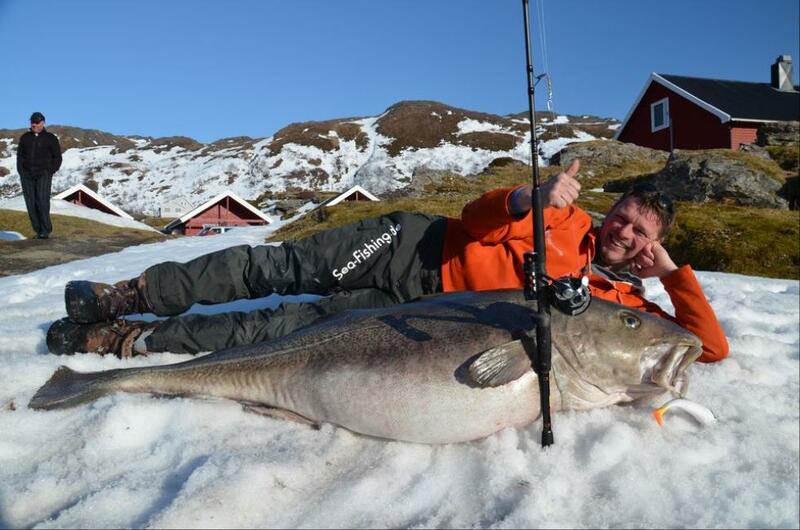 ThorNews has previously written about Morten Hvam that in March 2012 caught a 4.8 feet (1.47 meter) cod weighing 91.8 lbs (41.72 kilos). 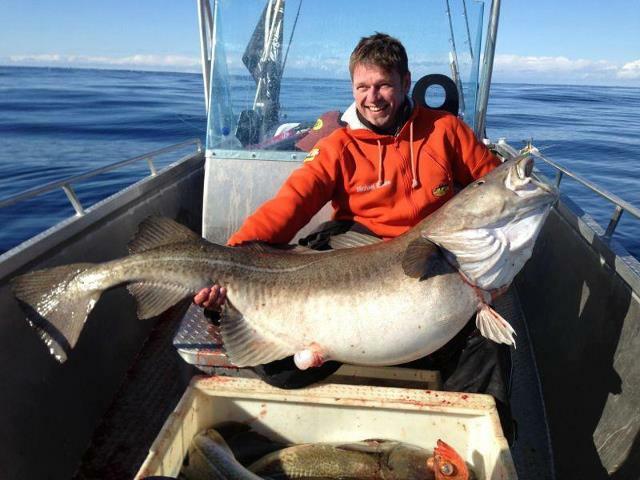 This time it was Michael Eisele (Germany) who was the lucky angler: In late April he caught a 5.25 feet (1.6 meter) monster cod weighing 103.6 lbs (47 kilos) in the same area. The catch is now reported to the International Game Fish Association (IGFA) for approval. What is also worth mentioning is that sport fisherman Michael Eisele and his friends have had good luck with fishing in the Sørøya area using Sørøya Havfiskesenter as their base. They report that they have caught 33 cod over 66 lbs (30 kilos) in just one week! Remember – there are plenty more fish in the sea..